If someone you love has experienced a pregnancy loss or miscarriage, it can be hard to think of the right thing to say. One in five couples will experience a miscarriage in their journey to start a family. 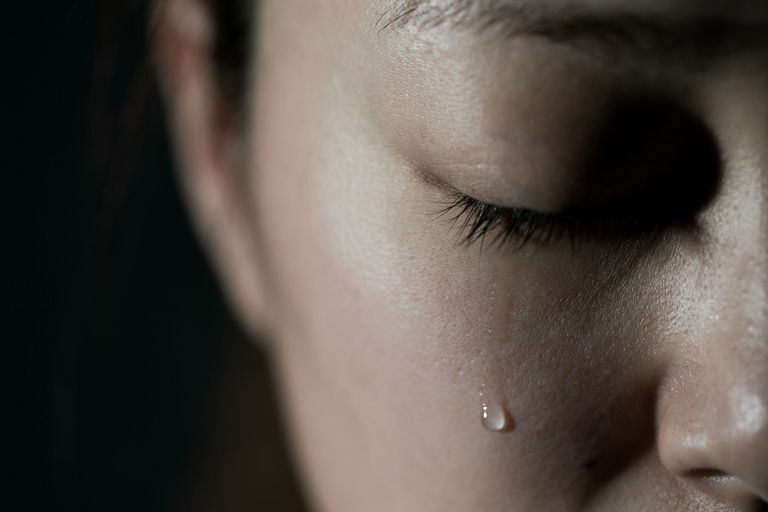 While miscarriages are common, many people who experience pregnancy loss find it difficult to process their loss as well as open up to family and friends. Listening: Offer to lend an ear once they are ready to talk. Helping out with painful tasks: If your friend or family member had a late miscarriage, they may have an abundance of baby supplies they may no longer want. You can offer to hold on to these items until they are ready, return them, or donate them to families in need. Accompanying them out of the house: When grieving, it can be hard to leave the house. Offer to take your loved one out and let them know you'll be there if they need a hand or shoulder to cry on. If you're seeking words that will help you make sense of your own miscarriage, or hoping to find the right thing to say to a loved one who has lost a pregnancy, here are some quotes about the loss that ​can help you express how you are feeling or what you want to say. "And when the night is cloudy, there is still a light that shines on me. Shine until tomorrow, let it be." "Everyone must leave something behind when he dies, my grandfather said. A child or a book or a painting or a house or a wall built or a pair of shoes made. Something your hand touched some way so your soul has somewhere to go when you die, and when people look at that tree or that flower you planted, you're there. It doesn't matter what you do, so long as you change something from the way it was before you touched it into something that's like you after you take your hands away." "I carry your heart with me (I carry it in my heart) I am never without it." "The cure for anything is salt water: sweat, tears, or the ocean." "If I had lost a leg, I would tell them, instead of a boy, no one would ever ask me if I was ‘over’ it. They would ask me how I was doing learning to walk without my leg. I was learning to walk and to breathe and to live without Wade. And what I was learning is that it was never going to be the life I had before." "We each love someone, even though they will die. And we keep loving them, even when they are not there to love anymore." "A miscarriage is a natural and common event. All told, probably more women have lost a child from this world than haven't. Most don't mention it, and they go on from day to day as if it hadn't happened, so people imagine a woman in this situation never really knew or loved what she had. But ask her sometime: how old would your child be now? And she'll know." "No single thing abides, but all things flow. They melt and are no more the things we know." "Once in a young lifetime, one should be allowed to have as much sweetness as one can possibly want and hold." "Undo it, take it back, make every day the previous one until I am returned to the day before the one that made you gone. Or set me on an airplane traveling west, crossing the dateline, again and again, losing this day, then that, until the day of loss is still ahead, and you are here, instead of sorrow." "As you danced in the light with joy, love lifted you. As you brushed against this world so gently, you lifted us." "In one of the stars, I shall be living. In one of them, I shall be laughing. And so it will be as if all the stars were laughing when you look at the sky at night . . . You—only you—will have stars that can laugh!" "End? No, the journey doesn't end here. Death is just another path…one that we all must take. The gray rain-curtain of this world rolls back, and all turns to silver glass... And then you see it. White shores... and beyond, a far green country under a swift sunrise." "So it is not the will of your Father in heaven that one of these little ones should be lost." "...you are precious in my sight, and honored, and I love you." "I am going to send an angel in front of you, to guard you on the way and to bring you to the place that I have prepared." "He will wipe every tear from their eyes. Death will be no more; mourning and crying and pain will be no more." "A little while and ye shall not see me: and again, a little while, and ye shall see me because I go to the Father." "For love is as strong as death."